The three car parks located near the Visitor Centre can be seen in this image. Parking at The Dunbrody Visitor Centre. 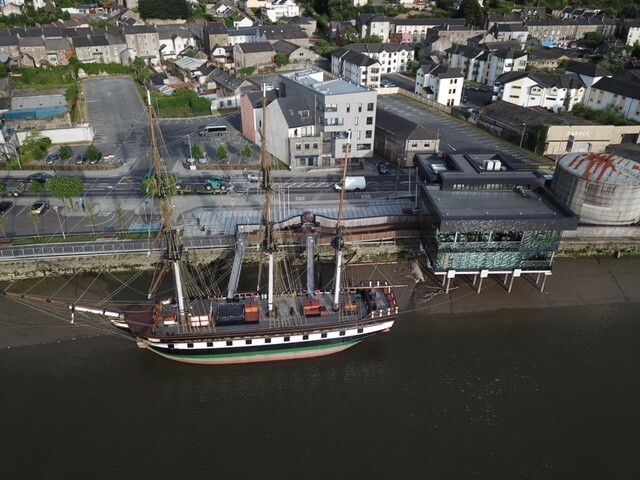 There is ample parking around and near The Dunbrody Famine Ship Visitor Centre. The there are two car parks situated to the front of the building, both of which are Pay & Display and cost €1 per hour. A third car park is located slightly to the back of the building and is also Pay & Display at €1 per hour. Maher’s car park is located approximately 500m from the visitor centre and is Pay & Display. It costs €2.50 for the day. There is also an Ecars Charge point in this car park.